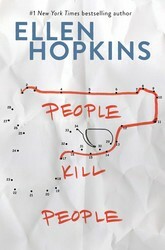 Book covers can change for any number of reasons. 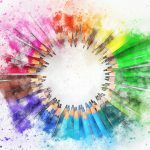 From transition to paperback printings, market changes to cover trends, or just occasional refreshing, the reasons can go on and on. As fans, sometimes we’re not too keen on the changes, but sometimes we think they’ve absolutely nailed the new looks. 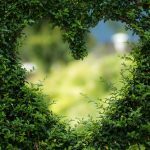 Here are some of our favorite cover repackages! 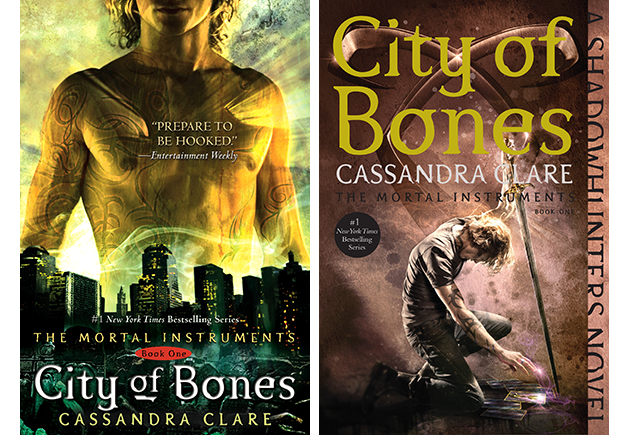 I’ll be honest – we could probably write an entire book about the changes that the entire Mortal Instruments series has gone through. 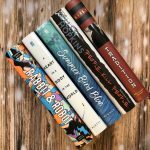 From repackages to movie-tie ins and special edition printings, you could fill a whole bookshelf (and let’s be honest, some of us have) with different versions of this blockbuster series. 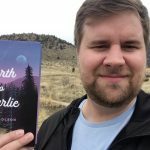 The books have looked fantastic in every iteration, and we can discuss from sun up to sun down which covers were the best. 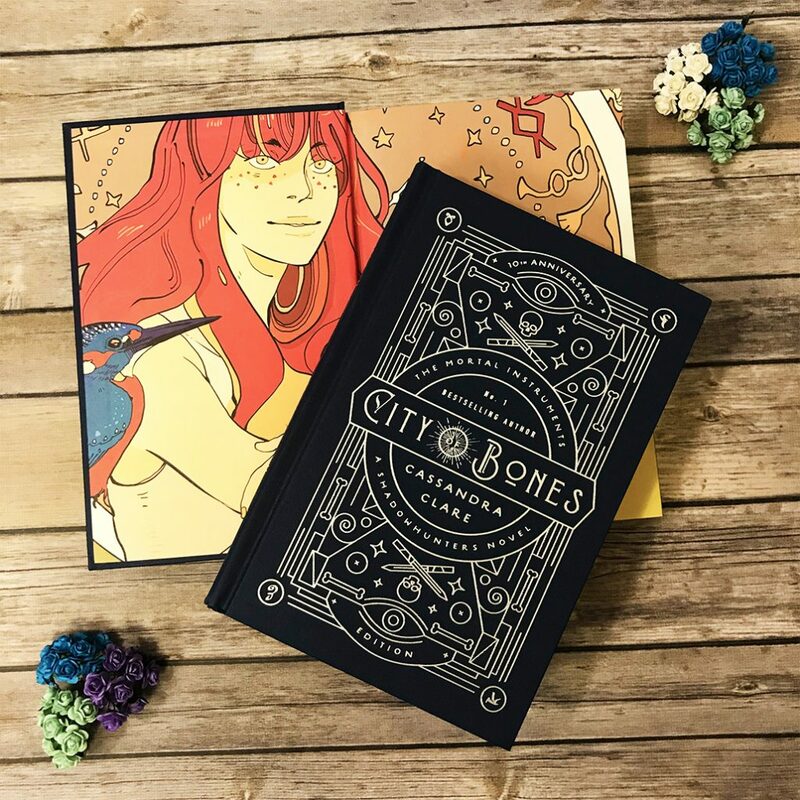 And no list would be complete without a shout out to the super spec-ed out, cloth bound, foil stamped, 10th Anniversary Edition of City of Bones. 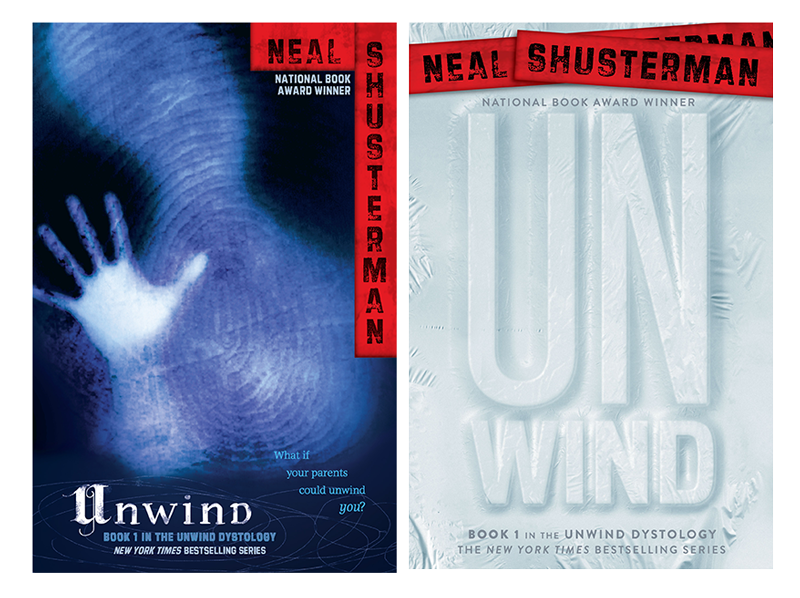 Is there anything Neal Shusterman can’t do? 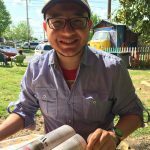 The author of multiple New York Times‘ bestselling series, including the current bestseller Thunderhead, has been a YA powerhouse for years. 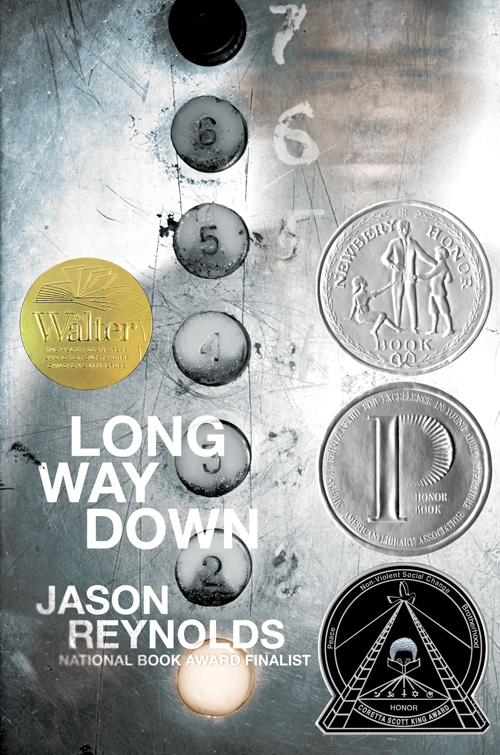 Before his Arc of a Scythe series was capturing hearts and dropping jaws, his Unwind Dystology was a stellar addition to the dystopian genre. The paperback repackages keep so much of the original covers’ creep factor while adding a cleaner line look. The Uglies isn’t the only fantastic series written by Scott Westerfeld. 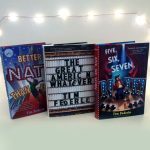 This action-packed trilogy about super powered teens was just repackaged last year, with a stronger emphasis on the characters. Book three, Nexus, just came out this month, sporting the cool new line look. 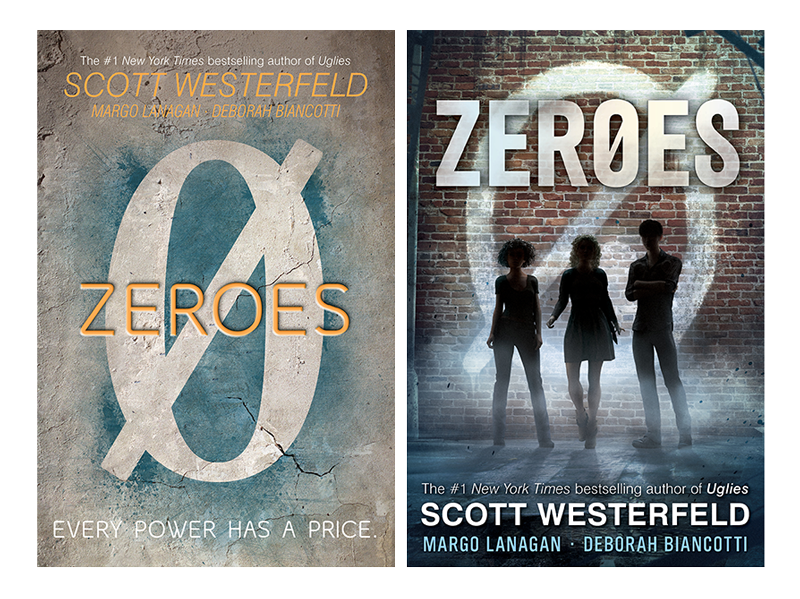 If you’re a fan of Uglies, check out the completed Zeroes trilogy now! 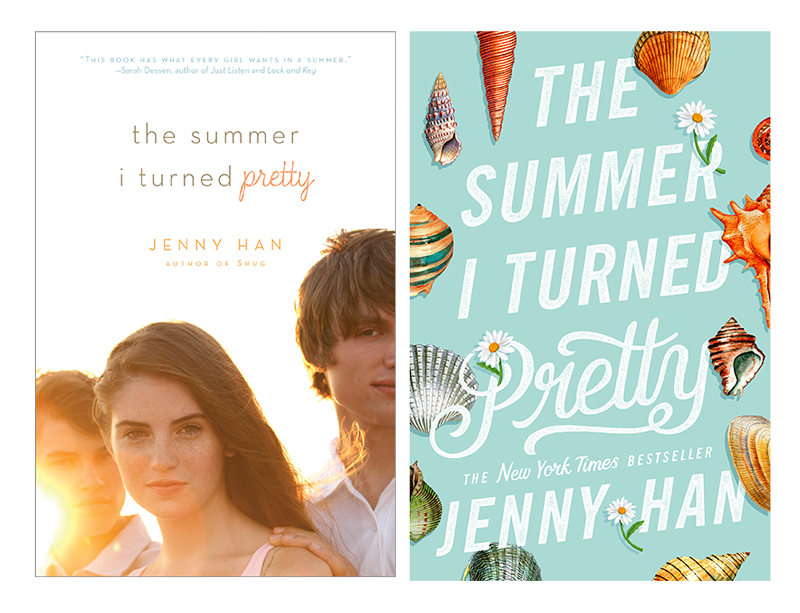 Jenny Han’s lovely trilogy of growing up and first love holds a special place in the hearts of many YA readers. 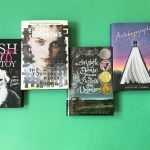 First published between 2009 and 2011, they received a gorgeous makeover in 2017 that embodies the colorful, fun, and bright nature of adolescent summers on the beach. 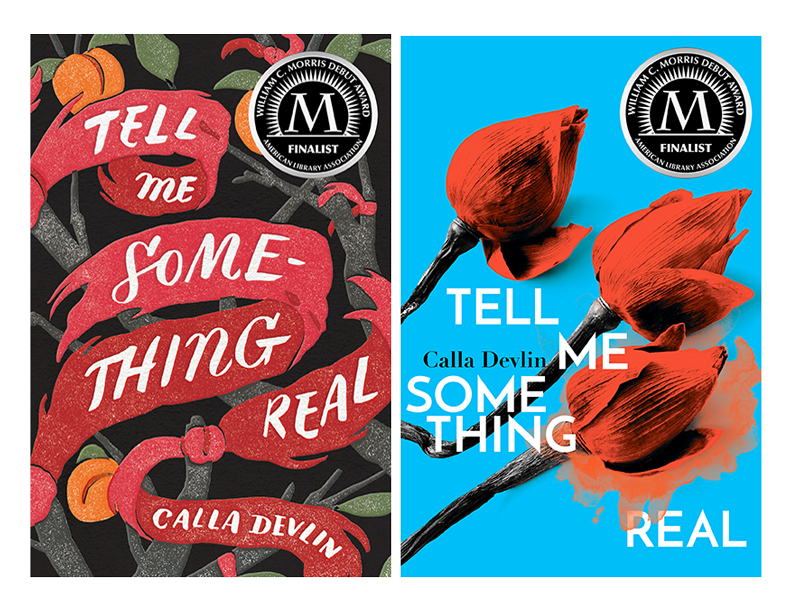 Calla Devlin’s amazing debut novel was William C. Morris Award finalist. 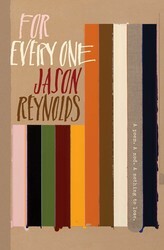 Telling the story of three sisters and their dying mother, it will tug at your heartstrings from the first chapter. 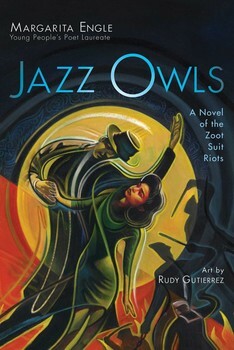 The change from an illustrated cover to a more photographic, limited color palate looks absolutely stunning. 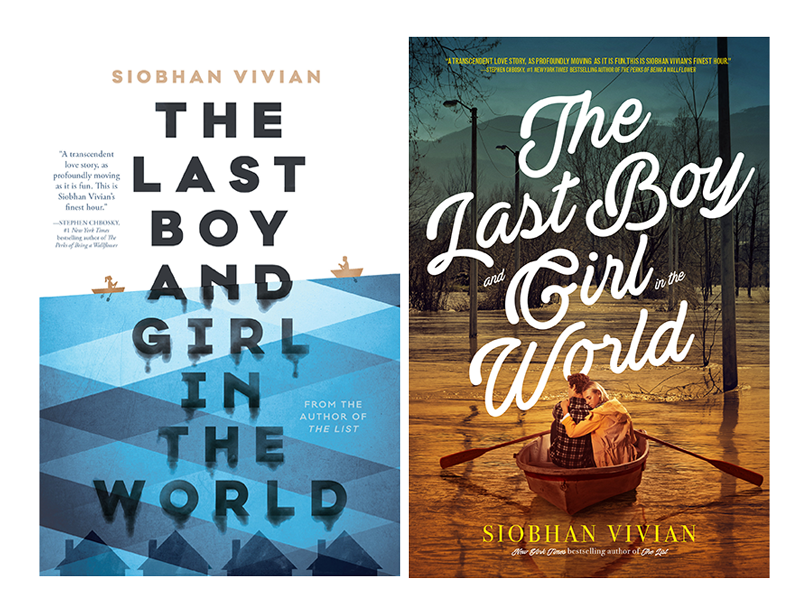 Siobhan Vivian’s heartbreaking story of a town on the verge of an aquatic catastrophe and the choices we make as our worlds seem to crumble around us is one of my favorite books. And full disclosure – I love both of these covers. But if I had to pick, the heavy romantic overtones and swoony of the repackaged cover win out for me in the end. 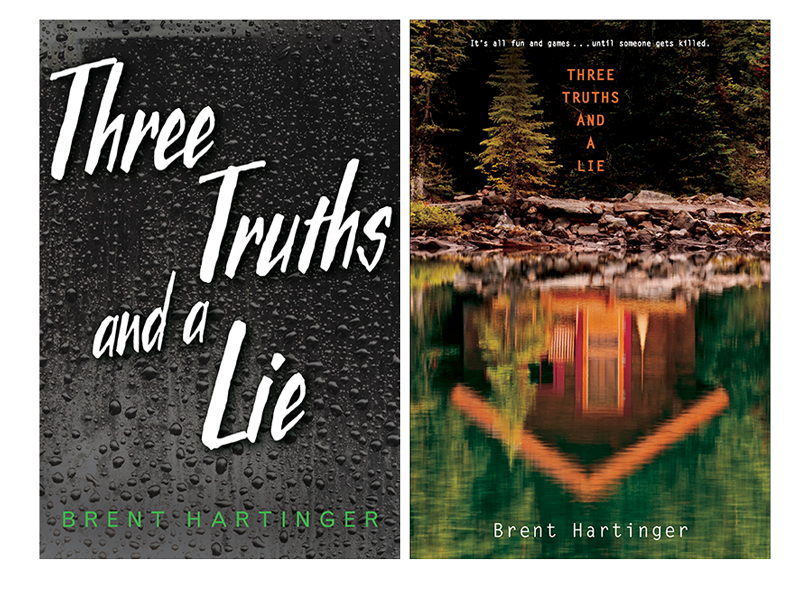 Three Truths and a Lie is a pulse-pounding thriller in the vein of One of Us is Lying–a must-read for fans of mysteries and thrillers alike. While the original cover captures the darkness and foreboding of the book, the repackaged cover really ramps up the eeriness of the novel with the missing cabin and forest setting. In order to keep peace in the world, the children of world leaders are held captive to maintain that order. The new cover truly gets to the heart of the danger that Greta faces and the risk she has to take in order to break free. 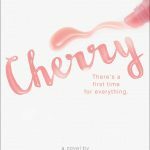 Not all the books in Suzanne Young’s The Program series got a repackage, but eagle-eyed fans will know that some installments started off with a different look. 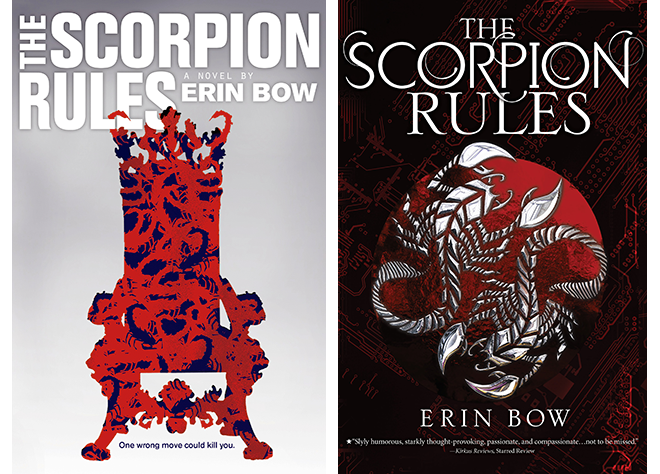 Good news for book lovers who like all their books in a series to match–the Program novels now feature the same package, including the final book in the series, The Complication. 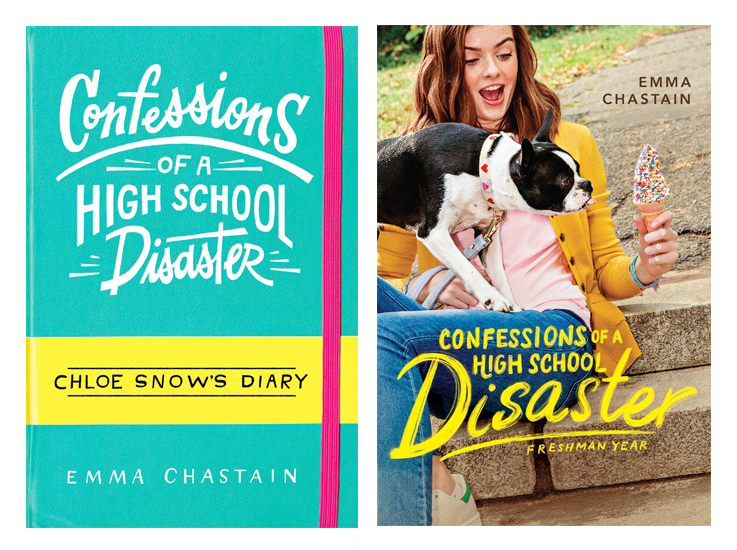 We love the Moleskine vibes of the original cover for Confessions of a High School Disaster by Emma Chastain, but the new paperback cover really gets to the heart of what makes this book great–it’s a funny, sweet contemporary teen story a la Bridget Jones’ Diary, with a relatable main character you’ll love. Not to mention the adorable dog. The Year of Living Awkwardly, book 2 in the series, which chronicles Chloe’s sophomore year, has a matching cover (and yes, the dog is on that one, too, don’t worry).